I said to myself I wasn't going to buy anything in the sales, safe to say that didn't happen! As soon as I see something I like, its hard for me not to buy it, but when it's got a red ticket on the side and it's 50% off, it's impossible for me to walk on! Everyone loves a bargain! 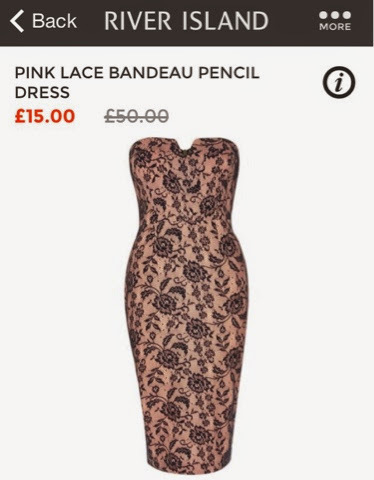 Most of my items are from River Island, the sale is always fabulous- As always, I try to justify the things I bought by how much I need them, and the- "come on, for a tenner?" Is always the first thing that comes into my mind! This time it was mainly, "OHH that'll be so nice in NYC" even if I knew deep down it wouldn't even make it into my suitcase haha here's a few of my favourite sale buys.. These over size jumpers are super comfy, but with a collar or shirt under it they can be dressed up! Also the slogan on it sums me up pretty well!! £12- River Island. I love the print of these shorts, so many different colours on them, with an orange blouse it really makes it stand out. But I think these would be fab with a black polo neck, statement necklace and comfy wooly tights for a more casual look. £10- River Island. Cami tops are one of my favourite things in my wardrobe- they go with everything and can be casual or dressed up. I have them in every colour now I've picked this one up! 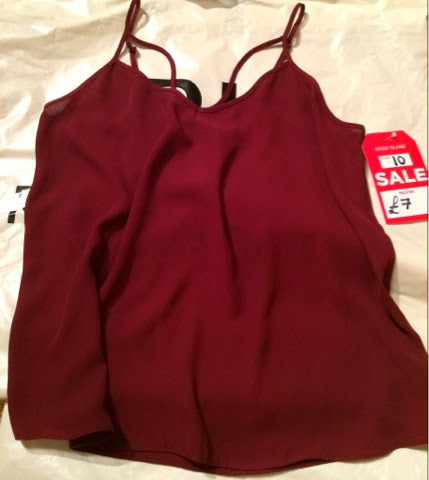 £7- River Island. I wasn't too sure of this dress when I seen it but it's stunning on, I couldn't believe it went down that much. I have a few weddings this year and think this will be lovely for one of them! 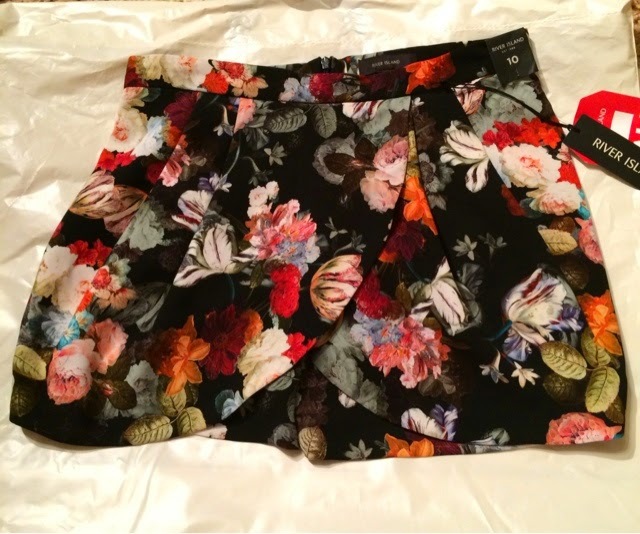 £15- River Island. These boots were sitting for a while before I finally gave in and got them! Black boots go with everything and surprisingly for the height of them they are comfy, even went shopping in them! 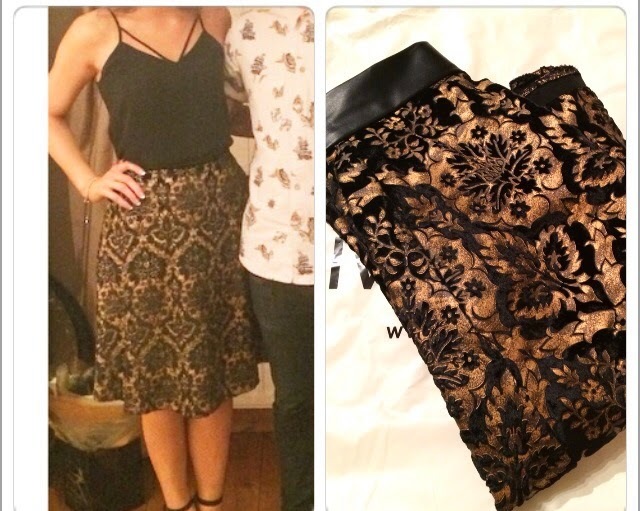 £25- River Island. 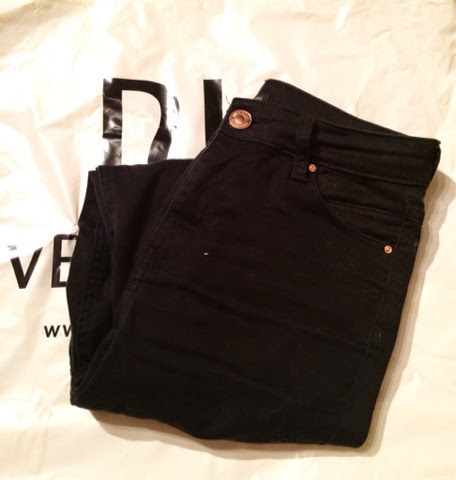 Black skinny jeans in long lenght, no questions about these- you always need black skinny jeans! £20- River Island. I have wanted these from the moment they came out, but could never get my hands on a pair in my size they were always sold out. So when I seen these sitting I literally grabbed them like something from confessions of a shopaholic!! £35- Topshop. I was actually working when I spotted this, it had a sale ticket on it for £15 but I wanted to scan it to see when it was from. 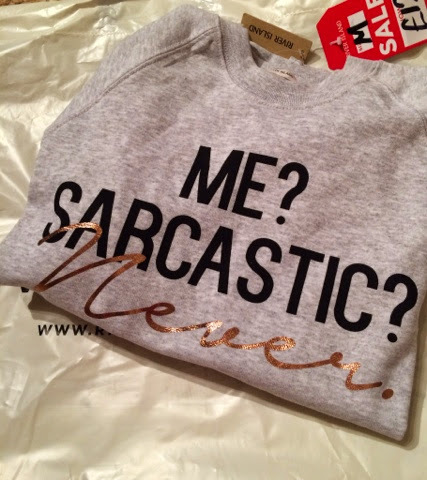 It came up AW14 and it was down to £5- I couldn't wait to finish my shift to buy this! I love skirts like these I think they are so cute and girly, the print on this one is so vintage looking and it's velvet- even better!